How asylum seekers enter Europe determines what they are eligble for. Being sent from one country to another is not uncommon for asylum seekers in the EU. But there is also the possibility that a refugee gets relocated upon his or her own will if conditions in the host country are unwelcoming or even harmful. InfoMigrants takes a look. The words relocation, repatriation and resettlement come up quite often in how refugees may move around Europe once they enter the continent. But these words have important differences to remember. Relocation refers to moving asylum seekers from EU countries that are under extraordinary pressure (currently Greece and Italy), and moving them to other EU member states to undergo the asylum process in the new country. Only people who applied for international protection in Greece or Italy are eligible for relocation in the EU. People entering another country via to relocation are treated as asylum seekers. Asylum seekers who go through relocation are transported to a country that grants asylum at least 75 percent of the time, according to current EU procedures. Since September 2016, Germany has allotted 500 relocation places per month from Italy and 500 places per month from Greece to enter the country through relocation programs. In Germany, the Federal Ministry of the Interior (BMI) works to coordinate the relocation efforts along with the Foreign Office (AA). The Federal Office for Migration and Refugees (BAMF) then determines who it will admit into the country. More than 31,500 people have been resettled in the EU between October 2015 and November 2017, according to the European Asylum Support Office. Repatriation is the act of an asylum seeker to the country where they were citizens. Refugees have the right to return to their country of origin if they desire to, according to the European Commission. This is not to be confused with deportation, which is when the state removes a non-national. The BAMF offers monetary aid for travel and start-up assistance for voluntary repatriations for many people who come to Germany. However, not everyone applies for funds to return to their home country. In January 2015, the BAMF suspended financial aid for repatriating Kosovars. This is also true for other Balkan nationals, including Albania, Serbia and Macedonia. Resettlement means that if a refugee cannot find security in the country they first arrived in, and if they cannot return to their home country, another country will be found for them to stay in. This only applies to people who qualify as refugees recognized by the UN Refugee Agency (UNHCR). Resettlement especially assists those who have special health or legal requirements. The European Union (EU) offered to resettle 22,504 people in 2016 and 2017. The European Commission recommended a new resettlement scheme for at least 50,000 new resettlement places in September 2017, setting aside 500 million euros to support member states' efforts. Some states, however, are not very keen on resettlement schemes. 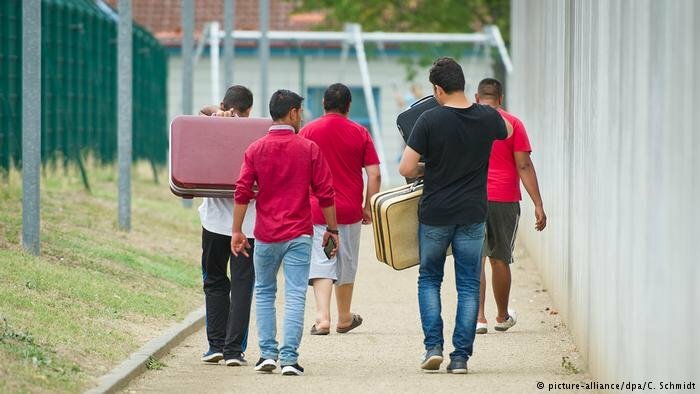 Germany, an EU member, has only taken in 2,700 asylum seekers via resettlement programs since 2013, according to German newspaper Die Welt.